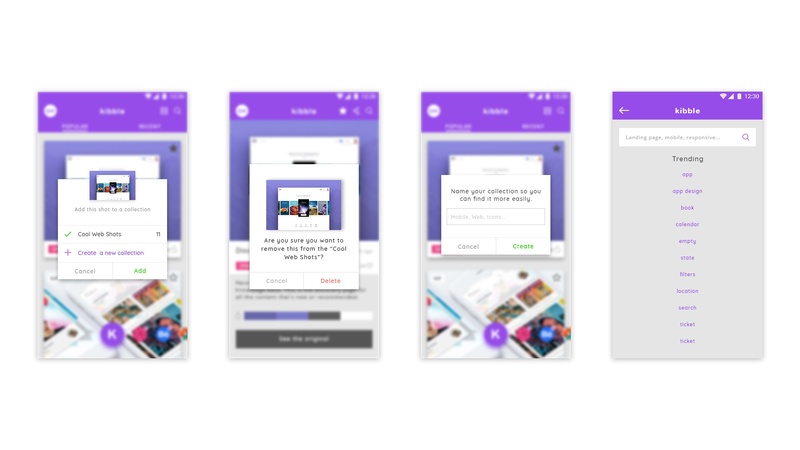 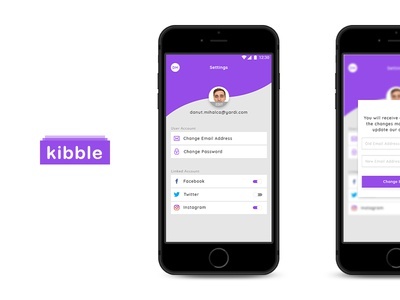 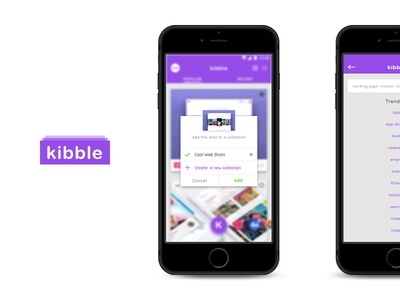 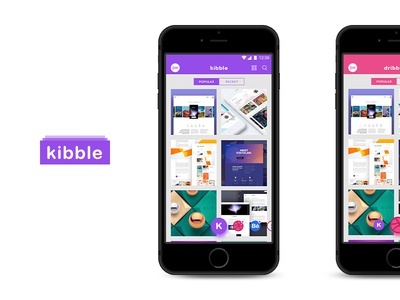 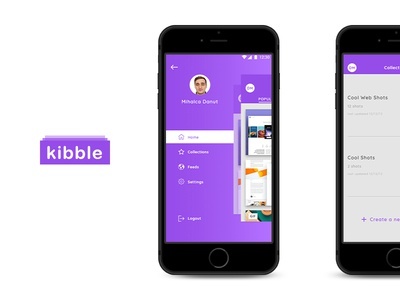 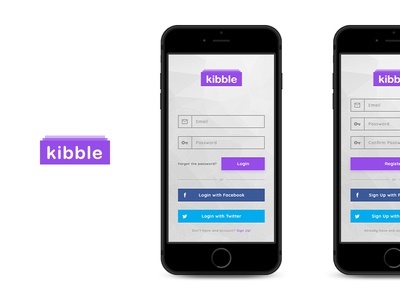 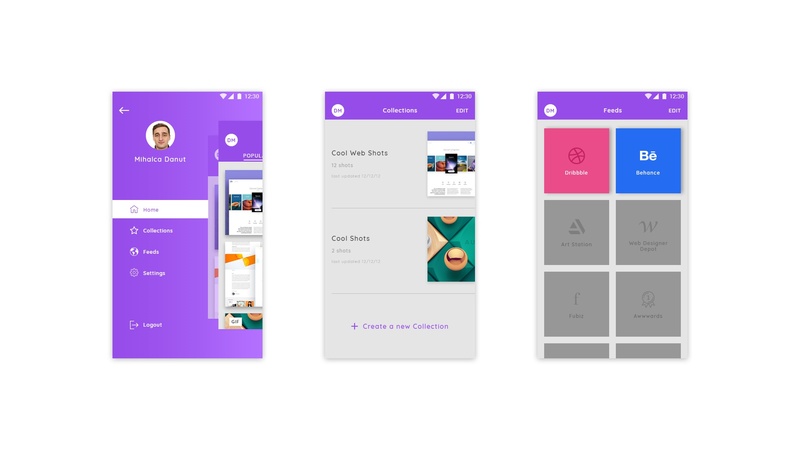 kibble is a concept app that combines the best shots around the from the best websites like Behance, Dribbble, Awwwards and so on. 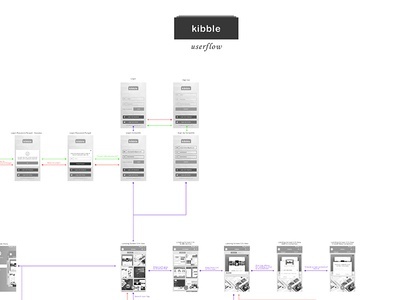 The screens for the Side Menu, Collections and Feeds sources. 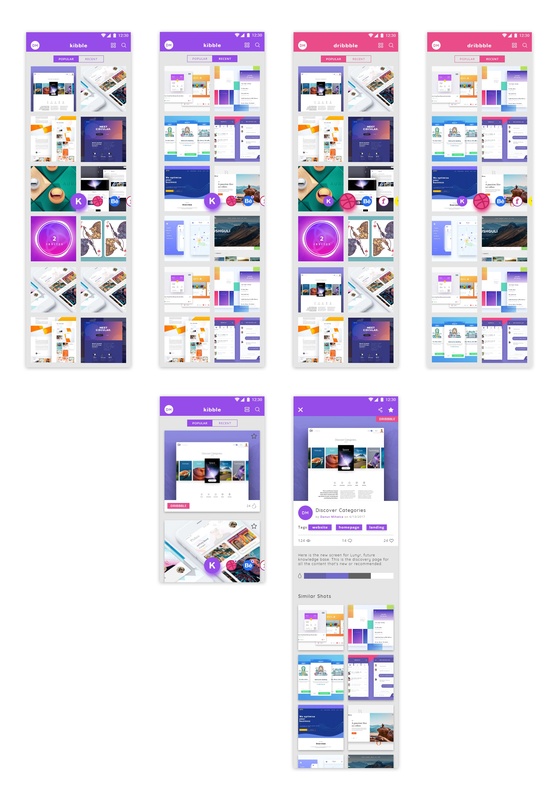 The screens for add, create, delete, and search screens. 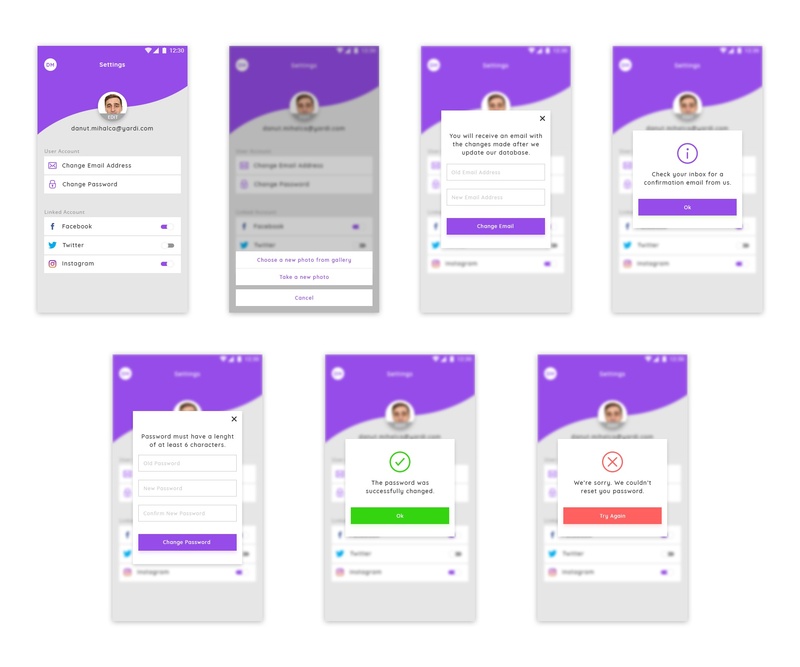 The screens for different views that the app can offer. 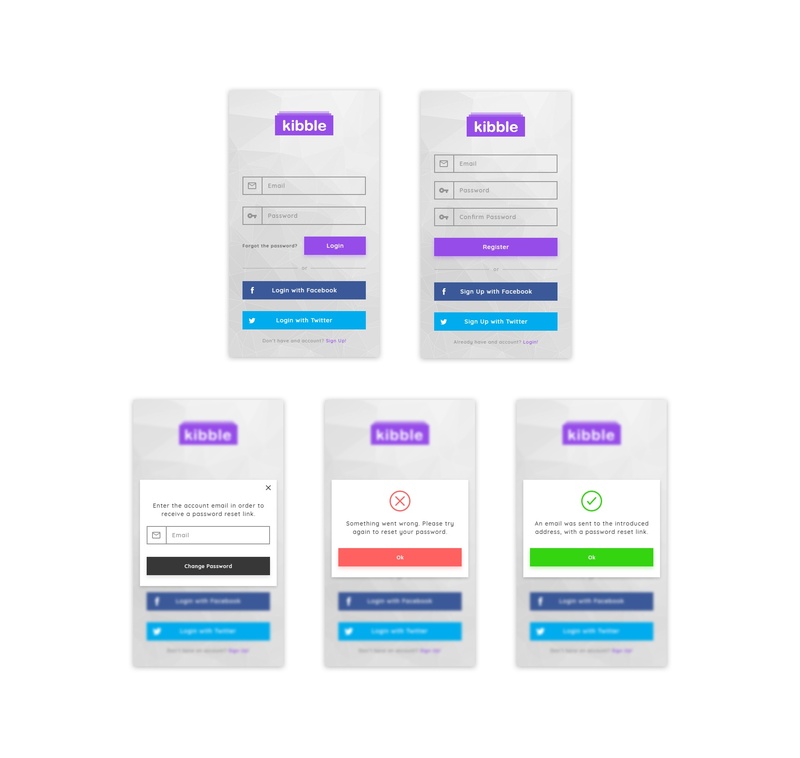 The screens for the login, signup and email password recovery.